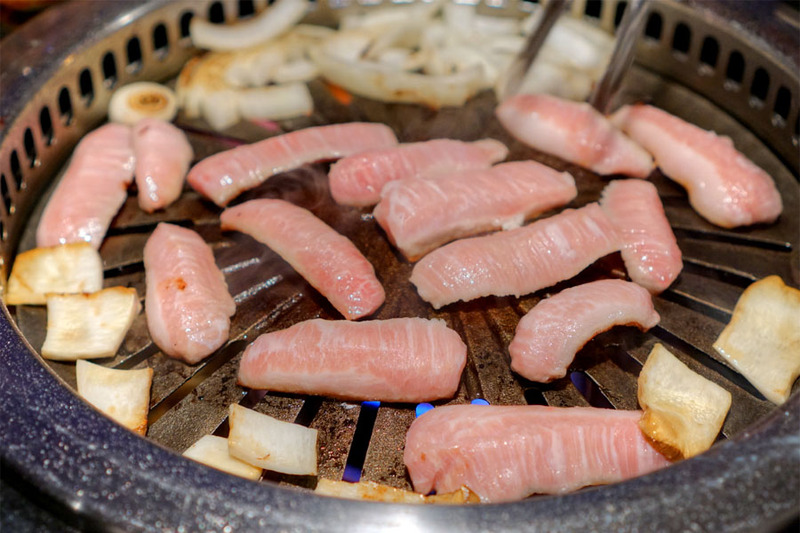 LA's Korean BBQ scene is as saturated as ever, but a new upscale entrant always seems to warrant at least a bit of attention. 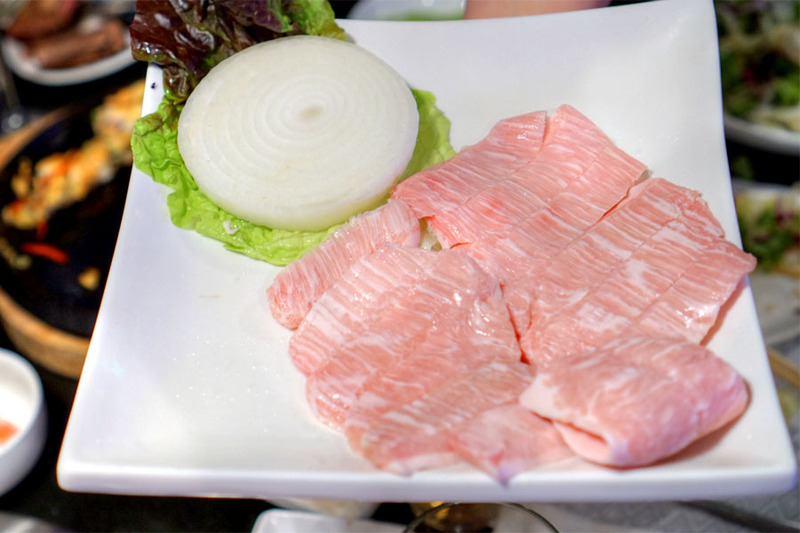 Situated on the outskirts of Koreatown (Westlake, actually), KOW debuted last October and joins an increasingly crowded field of KBBQ joints trying to stand out from the crowd by touting the quality of their meat. 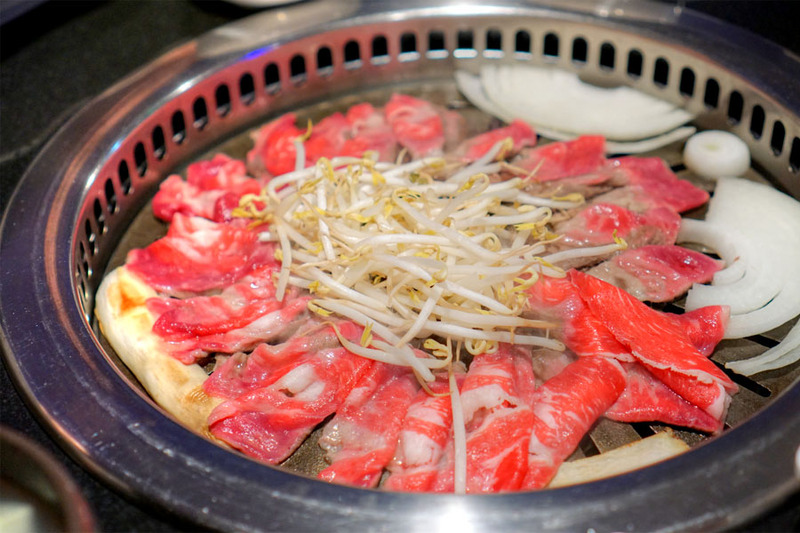 KOW takes over the address that was once home to AYCE KBBQ eatery Sonagi, and before that the longstanding Dae Sung Oak. Spread over two levels, the restaurant actually hasn't changed drastically since the Sonagi days. The first floor is perhaps a touch more casual, and features in-table downdraft ventilation while the upstairs has your traditional hood setup. 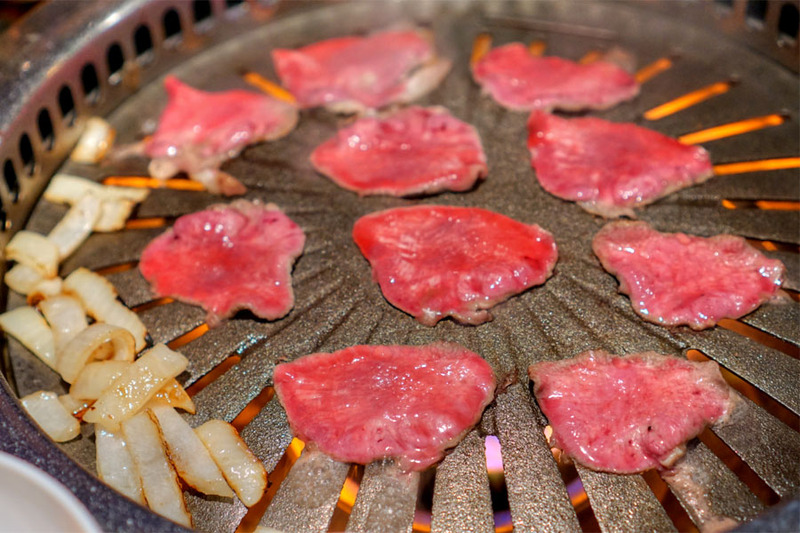 Not surprisingly given the name, KOW seems to focus on beef, though the usual porky suspects are also represented. 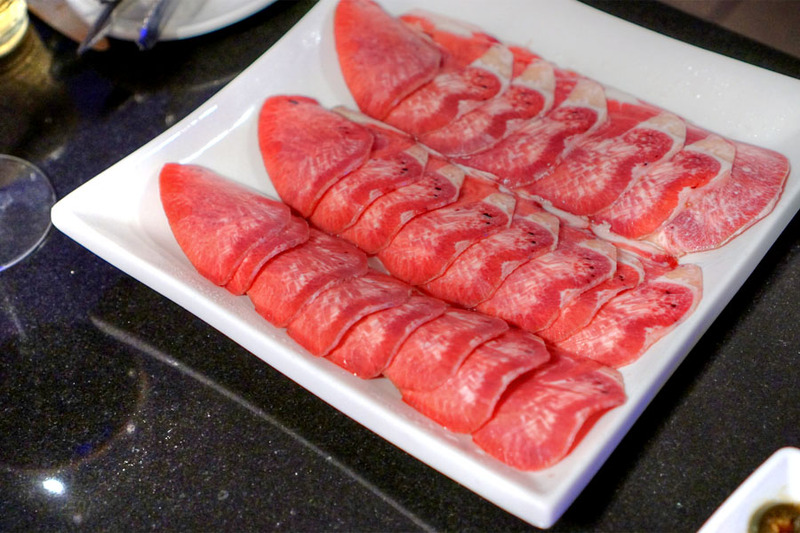 In addition to the à la carte meat options, combos are also available, as is a pretty complete selection of accompaniments and more substantial stews and such. 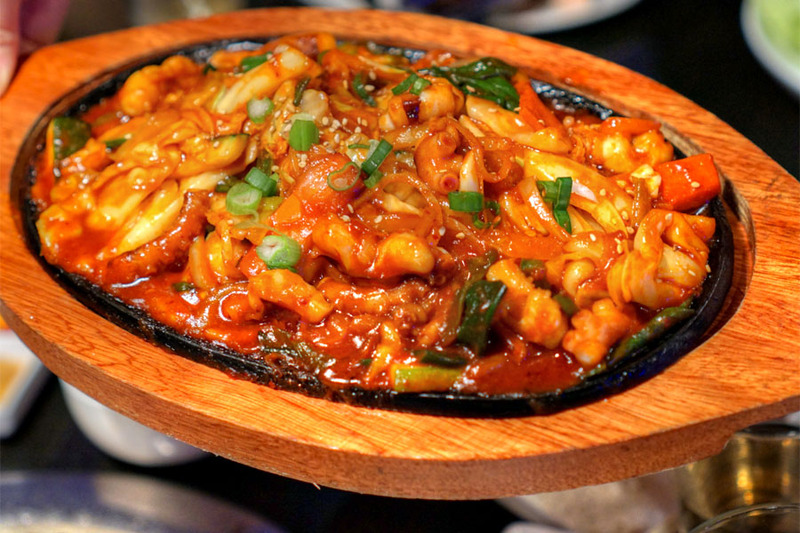 Drink-wise, you get your typical Korean beer, soju, and whatnot, while corkage was $20 flat. Click for larger versions. 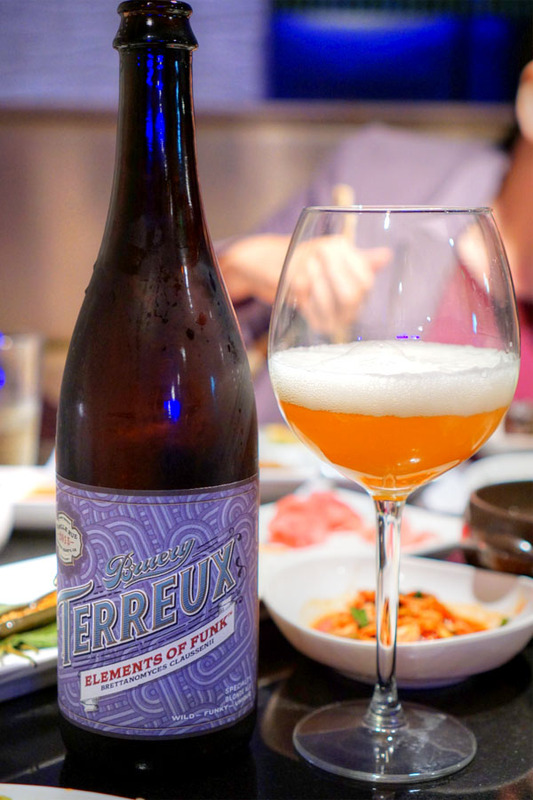 Up first to drink was something lighter, the 2015 Bruery Terreux Elements of Funk: Brettanomyces Claussenii, the second in a four-part series meant to showcase the effects that different strains of Brettanomyces have on a beer (we sampled the first at Ham Ji Park). I really liked this a lot more than I thought I would. Delightfully juicy, floral aromatic nose, and a taste that went softly sweet, herby, yeasty, and again, super-floral. Easy-drinking for sure. 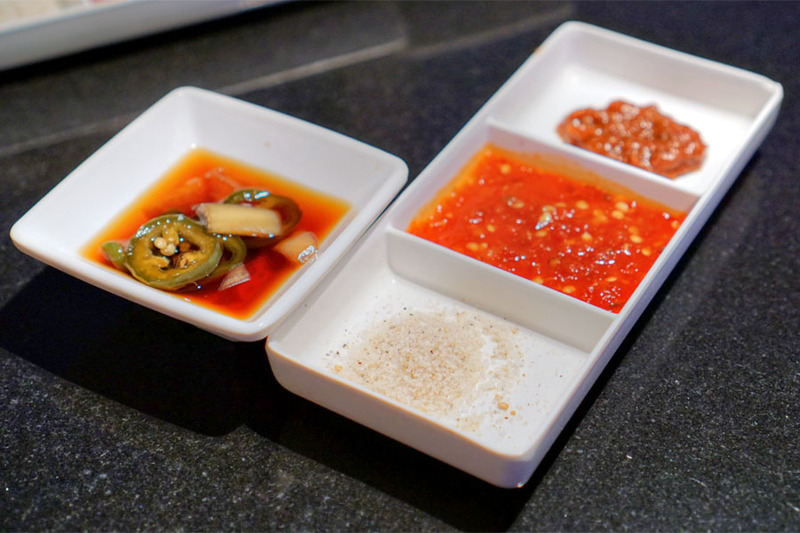 Condiments included your usual gireumjang (salt & pepper with sesame oil), chili sauce, ssamjang, as well as "Chadol sauce" with onion and jalapeño. 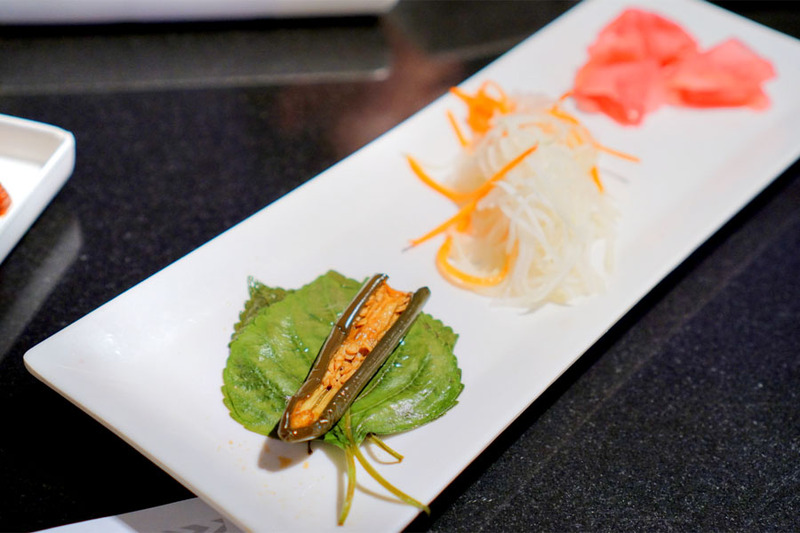 Crunchy to the bite, mul kimchi was subtly salty with a bit of zip. More accoutrements: marinated jalapeño on gaenip (perilla), shreds of pickled radish and carrot (musaengchae), and sweet-tangy beet-picked mu. 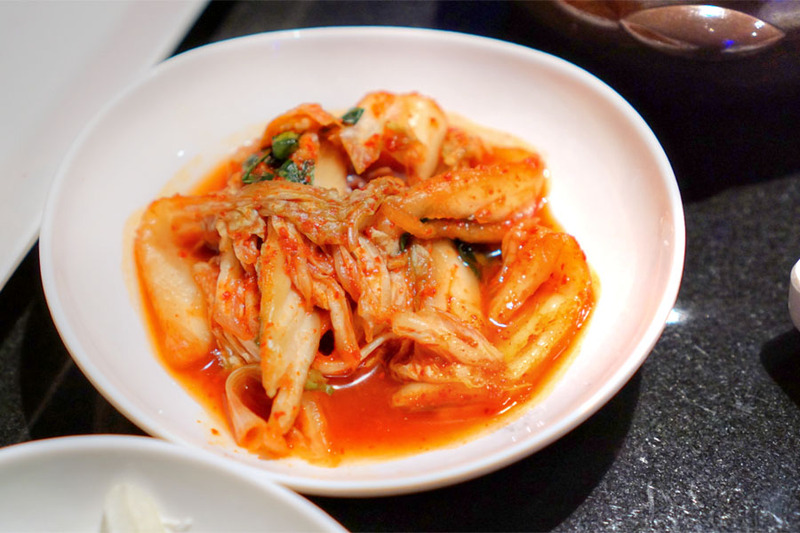 Classic baechu kimchi did its job. 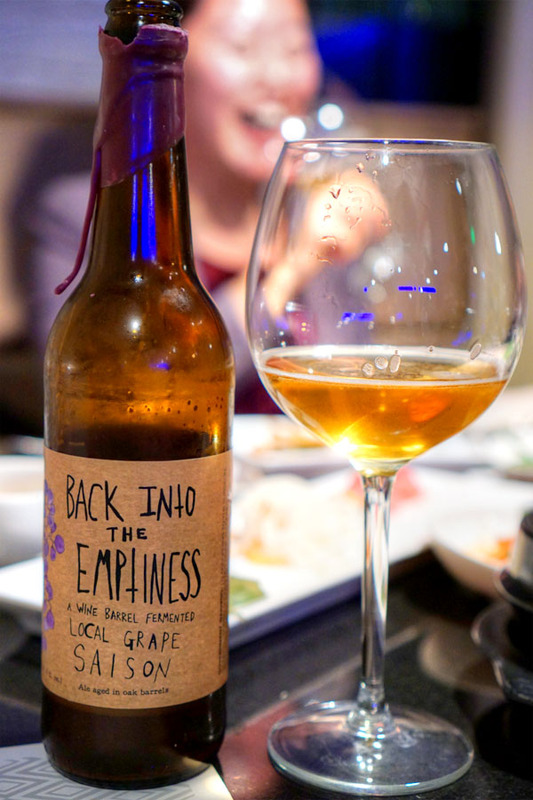 Here was an oak wine barrel-fermented saison with Pennsylvania grapes, the 2015 Tired Hands Back Into the Emptiness. Not surprisingly, I got a good amount of grape on the nose, along with oak and plenty of barnyard. Taste-wise: more funk, tartness, and wood, though the actual grape was substantially more muted. 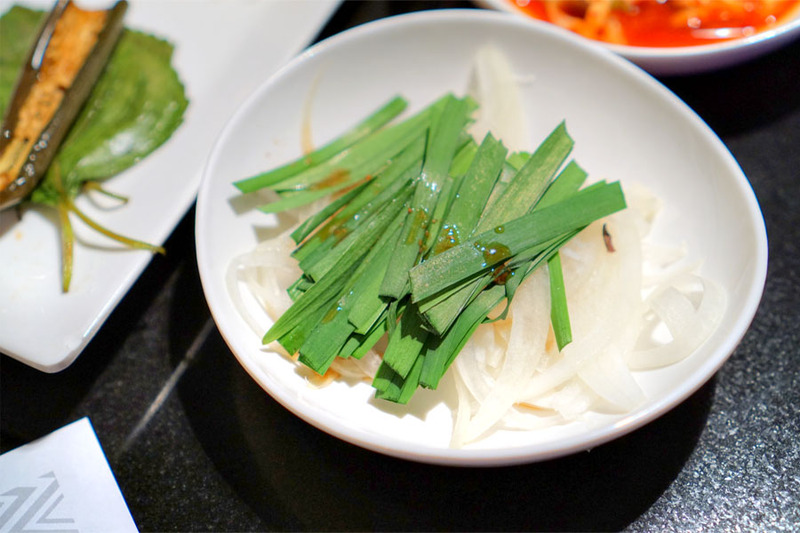 Korean chive (buchu) and onion. 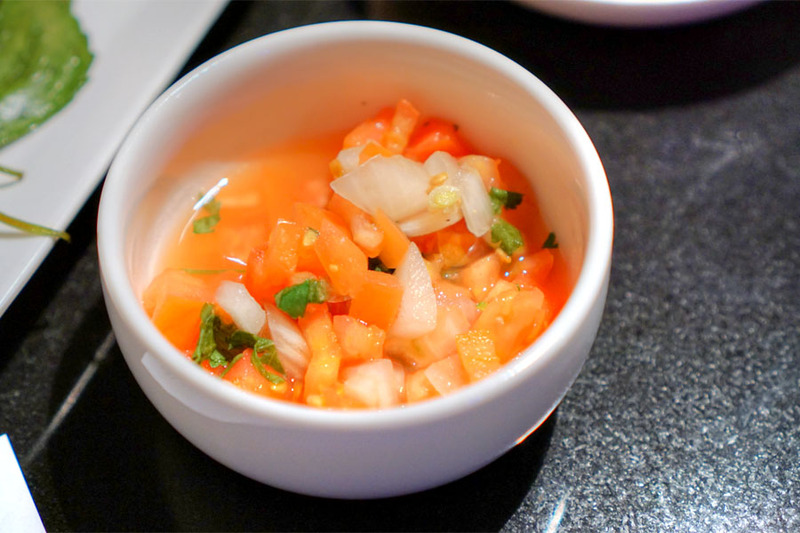 Pico de gallo was a completely unexpected, but not unwelcomed sight. Muk seemed more "brittle" than usual. 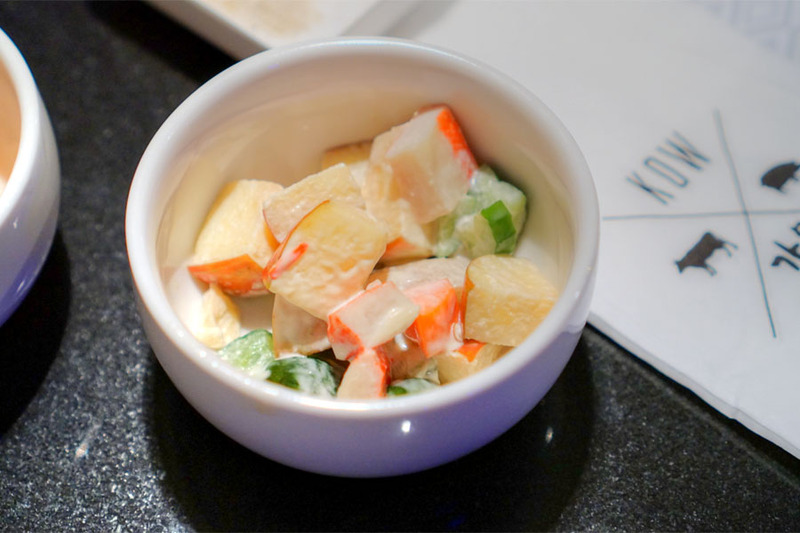 The typical potato salad was replaced by a sweeter, apple-heavy version. 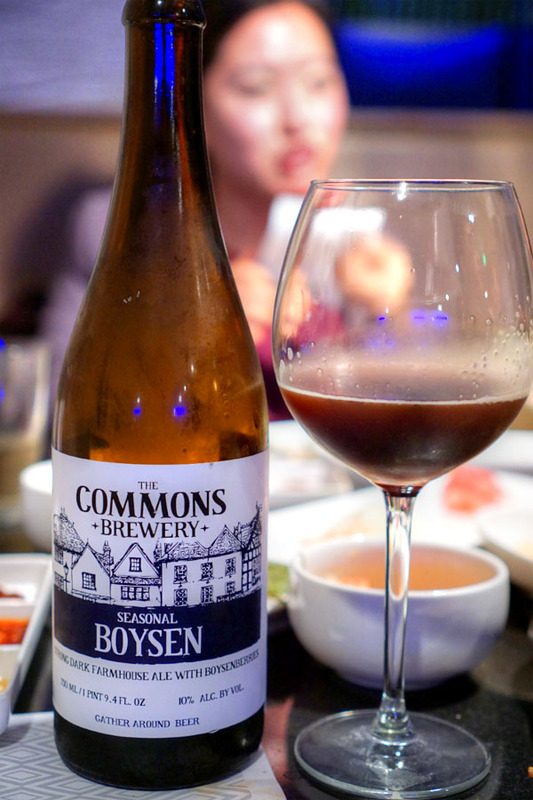 The 2016 The Commons Boysen was a dark Belgian-style farmhouse ale with boysenberries added. Smelled of sweet, almost candied malt and spice. The palate brought an intriguing black licorice note initially, along with more candied malt, chocolate, yeast, and dark berry fruit in the background. 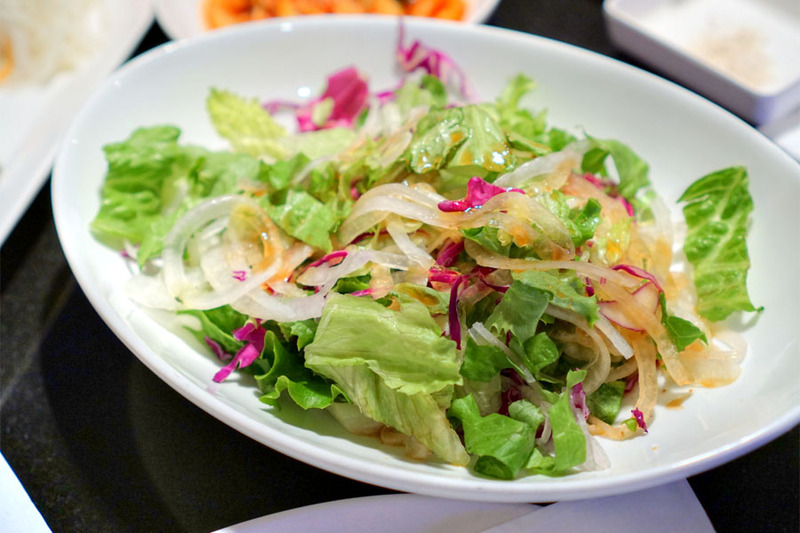 Our requisite salad was particularly bright and tangy. 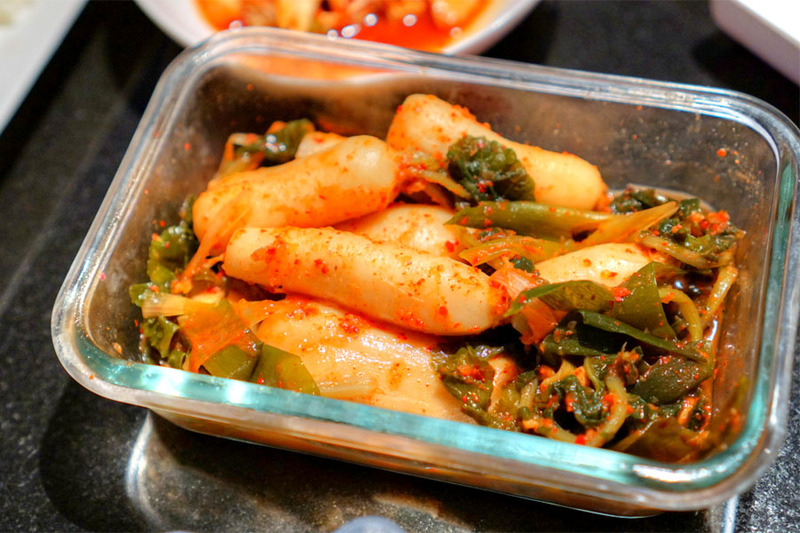 One of my dining companions happened to have some homemade altari kimchi (a.k.a. 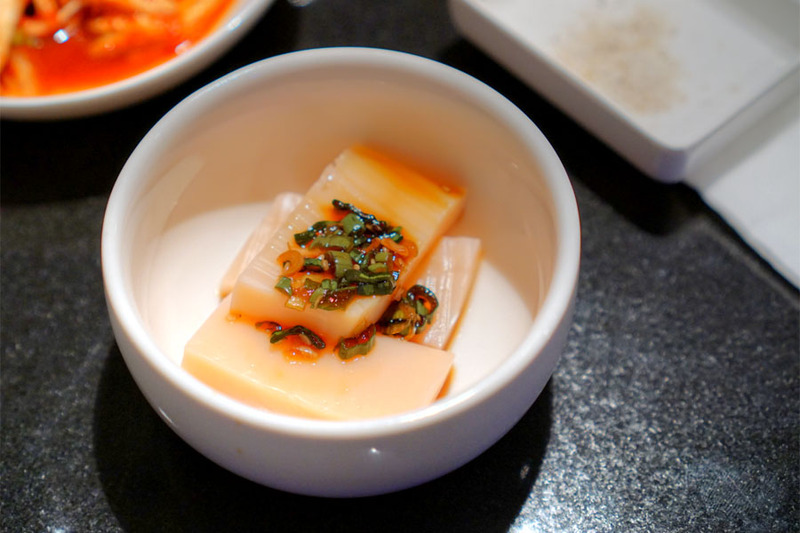 chong-gak, or "bachelor" kimchi) on her, so we opened that up as well. 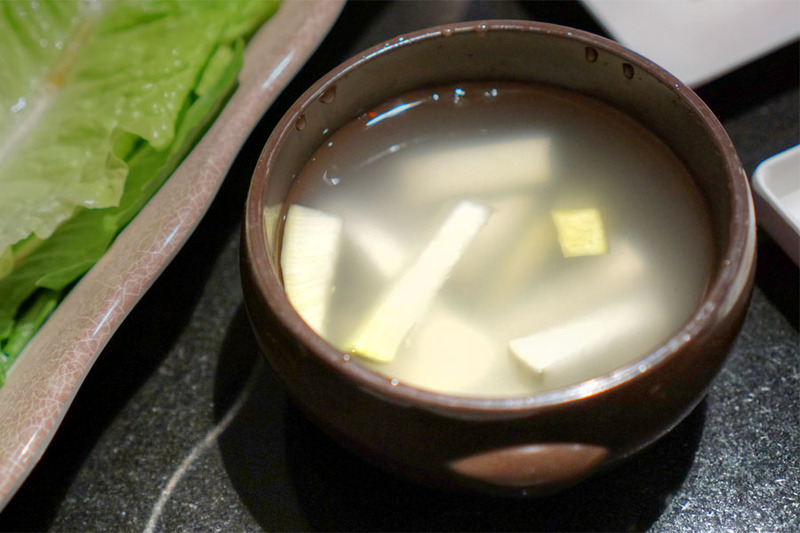 The radish showed off a great texture--firm yet yielding--and had a deep, complex ferment-y spice to it. Superb. 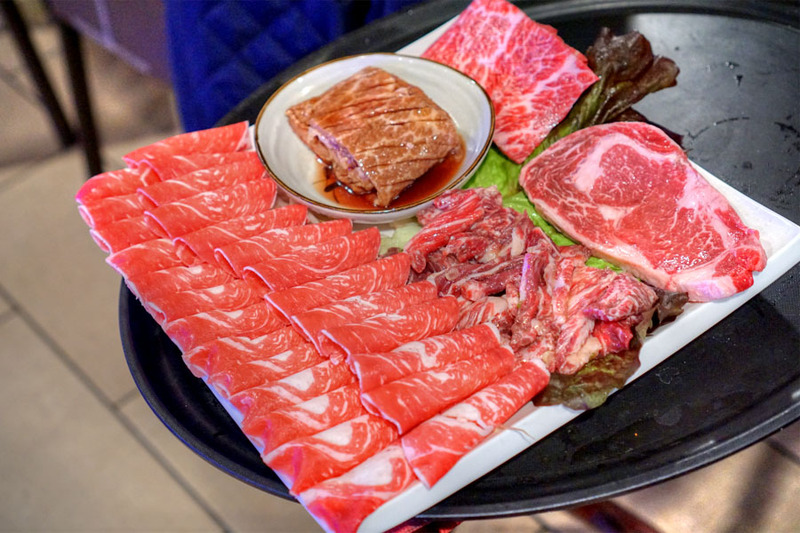 We started off with the largest combo on offer, comprising: Beef Brisket, Marinated Prime Beef Short Rib, Prime Beef Short Rib, Prime Rib Eye, Boneless Marinated Beef, Steamed Egg, Stew (Kimchi or Bean), and Vegetable Combo. 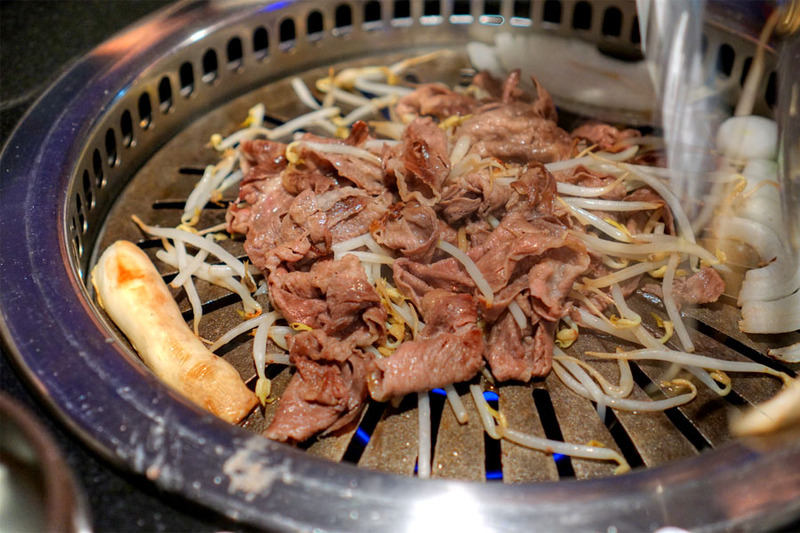 Chadol's always a standby, and KOW's version was on point: tender, beefy, with a distinct smoky component. I also appreciated the addition of sukjunamul here. 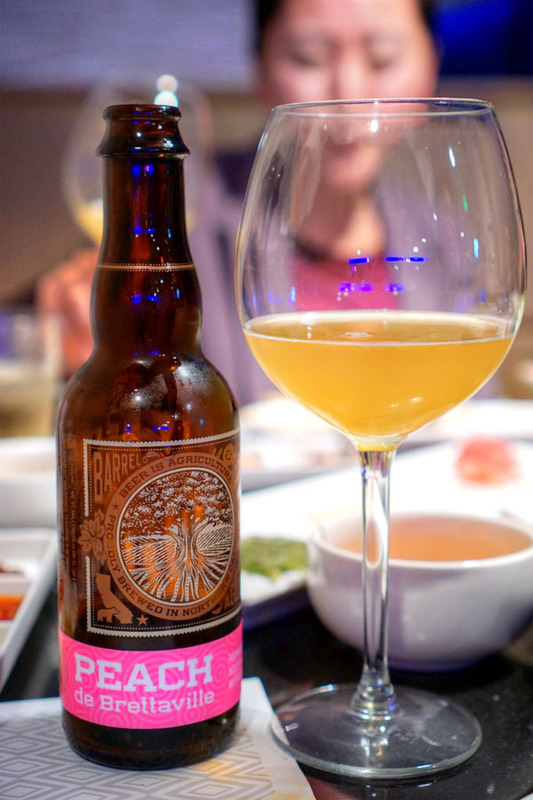 The 2015 Almanac Peach de Brettaville was a saison with a dozen different strains of Brettanomyces, aged in wine barrels, with peaches and nectarines added. 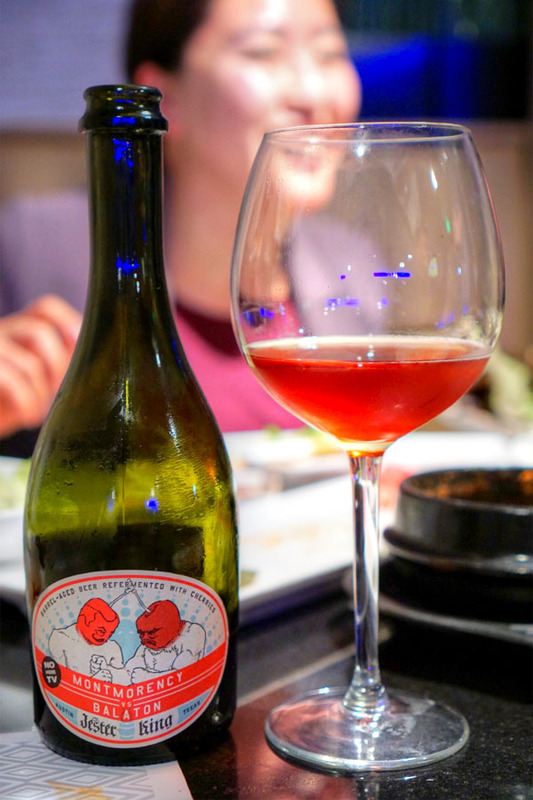 Sweet bouquet with distinct stone fruit notes and a piercing funk. Palate was puckeringly acidic at first blush, then earthy and a bit vinous, with more fruit peeking through on the finish. 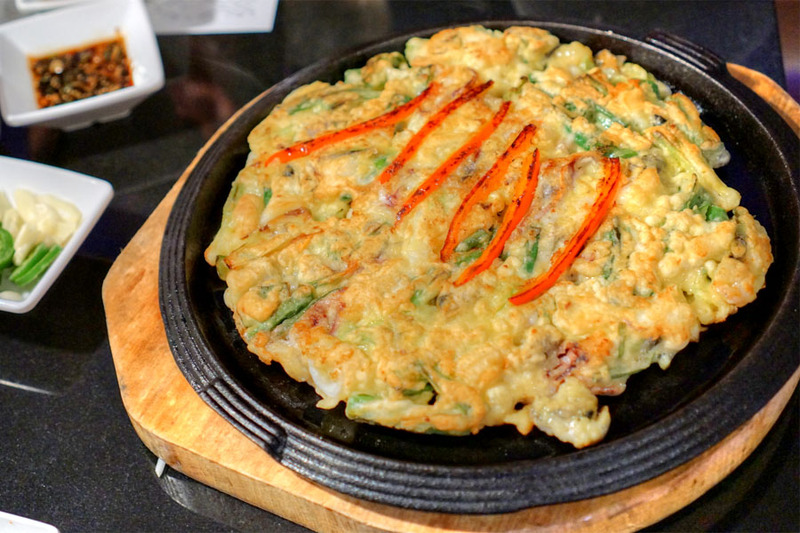 My go-to dish of haemul pajeon met the mark, with well-textured bits of seafood playing superbly with zesty green onion. 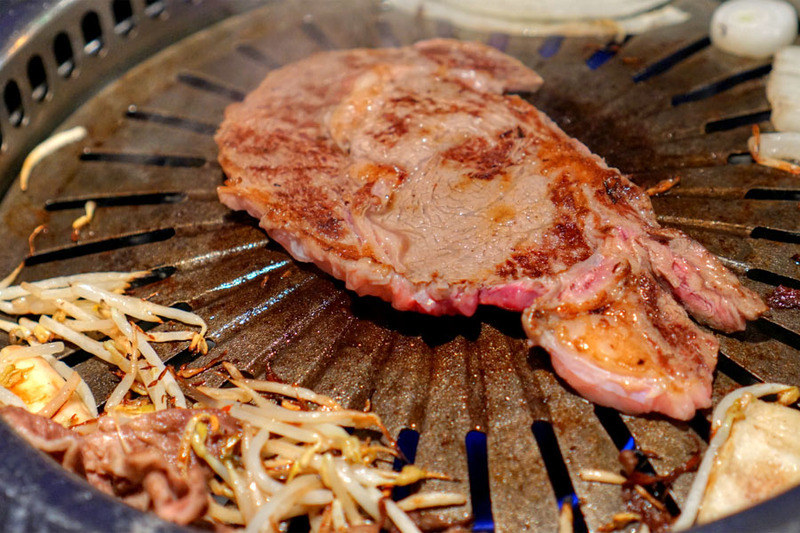 Deungshim came out tender and juicy, with a good balance of char, fat, and overall beefiness. 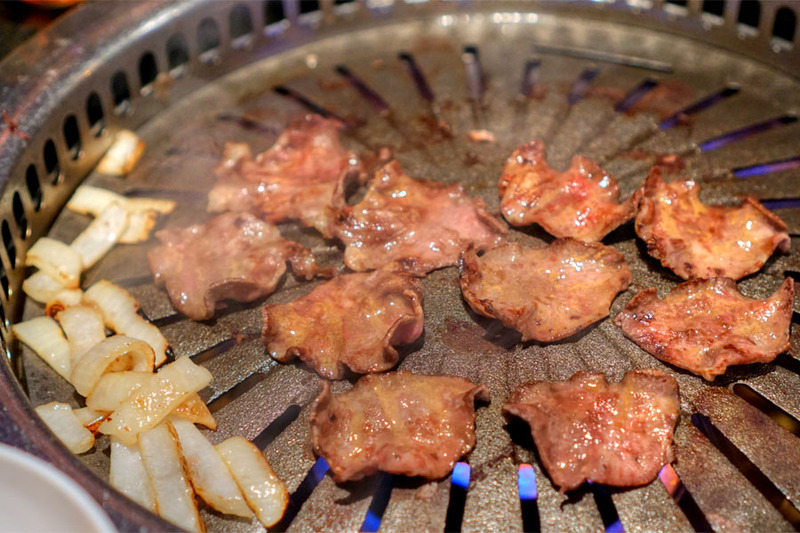 The gyeran jjim was perhaps a touch overcooked, though still worked out decently enough. 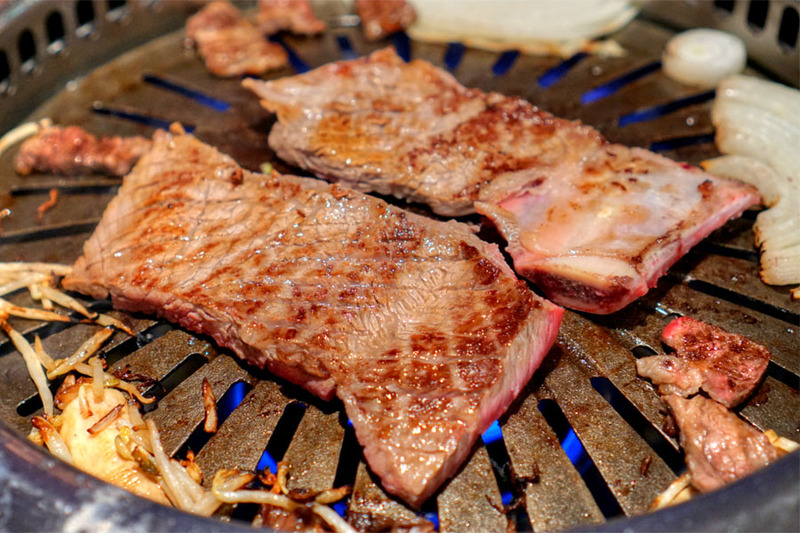 Saeng galbi was juicy, with a bit of chew to it, and had a surprisingly subtle flavor profile that really opened up when taken with the pico, actually. 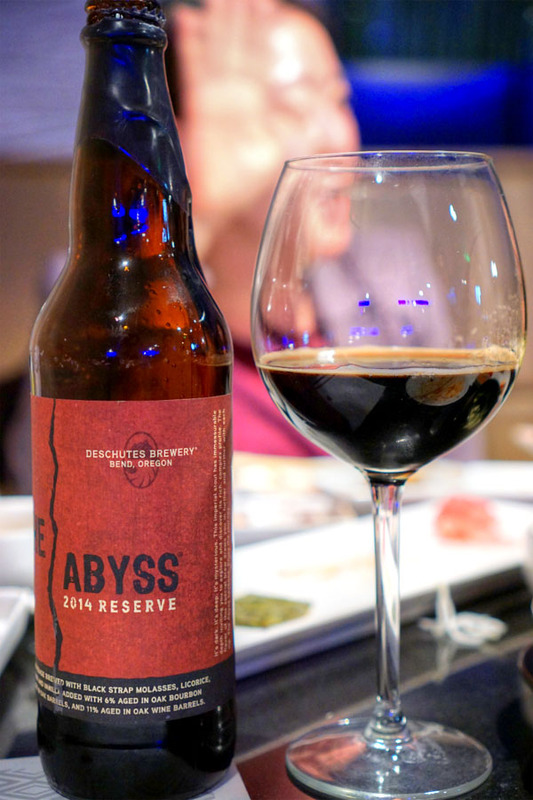 Getting into the heavier stuff now, we had here an imperial stout brewed with black strap molasses, licorice, cherry bark, and vanilla, then aged in oak barrels: the 2014 Deschutes The Abyss. Nose was boozy, sweet, imbued with notes of molasses-tinged malt, chocolate, and roast, with a tartness to it. On the palate, think malty, chocolatey, spicy, with rich molasses and traces of wood, bourbon, and dark fruit. 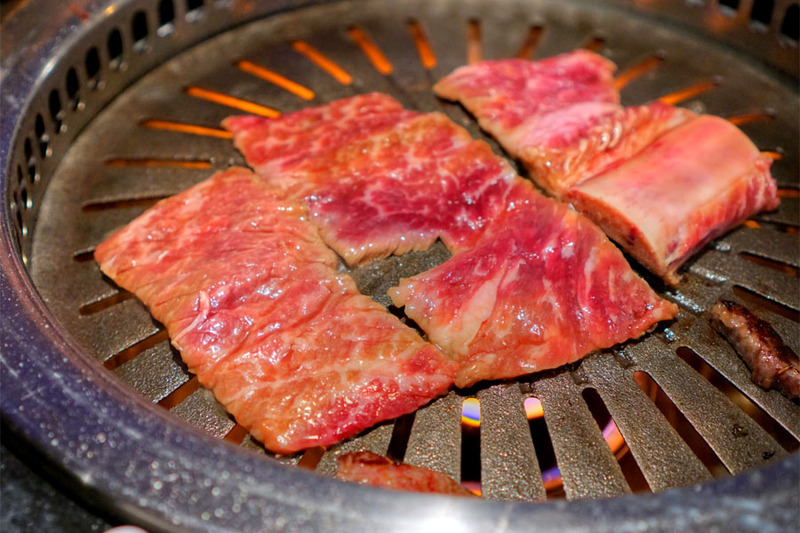 Jumulleok was richly-flavored, really showing off its soy-enhanced savroiness alongside a smidge of char astringency. 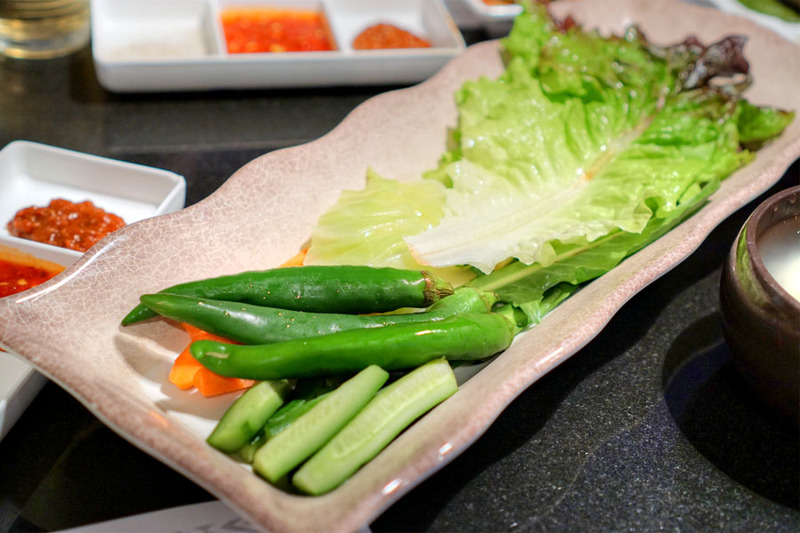 A sort of crudité platter provided some much needed lightness to the meal. 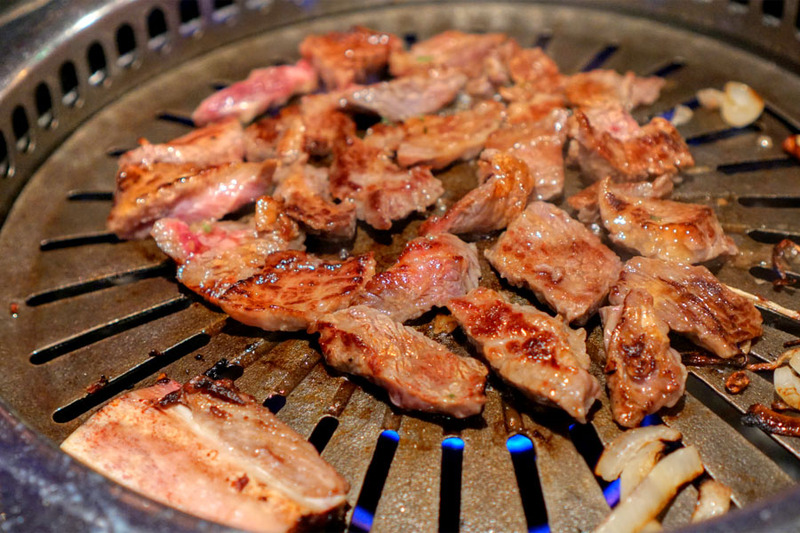 Yangnyeom galbi was classic in its presentation, conveying sweet, savory, comforting flavors. 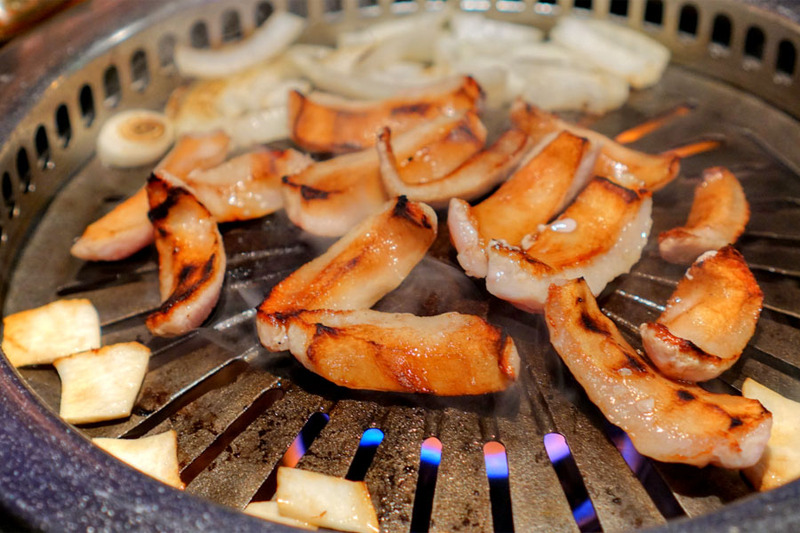 The nakji bokkeum displayed a persistent gochujang-powered heat, with just a trace of sweetness underlying. My favorite beer of the evening was the 2015 Jester King Montmorency vs Balaton (a.k.a. "MvB"), an oak-aged wild ale with two types of sour Michigan cherries. The aroma was redolent of sweet, aromatic spice and funk, while the taste displayed more sweet spice at first, leading to deep cherry flavors and barnyard. 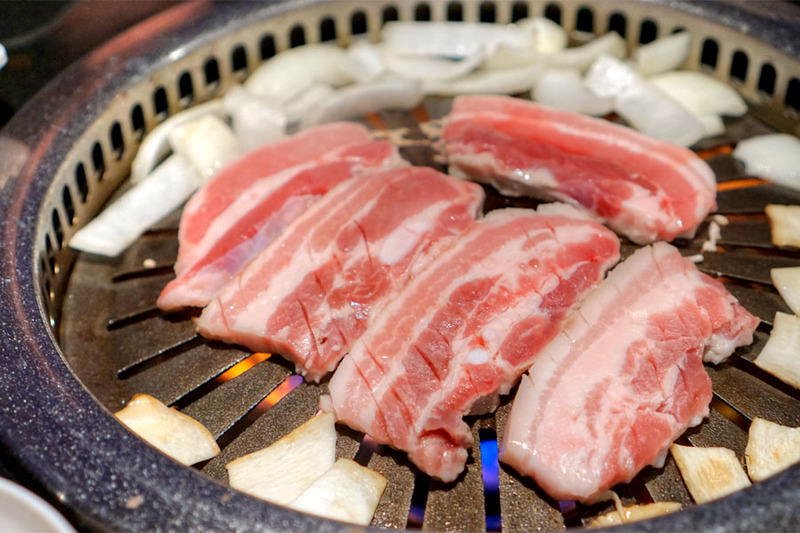 Hangjeongsal's probably my favorite cut of pork for KBBQ, and KOW's was a strong example, coming out satisfyingly-textured, super porky, and with a good balance of fat and char. 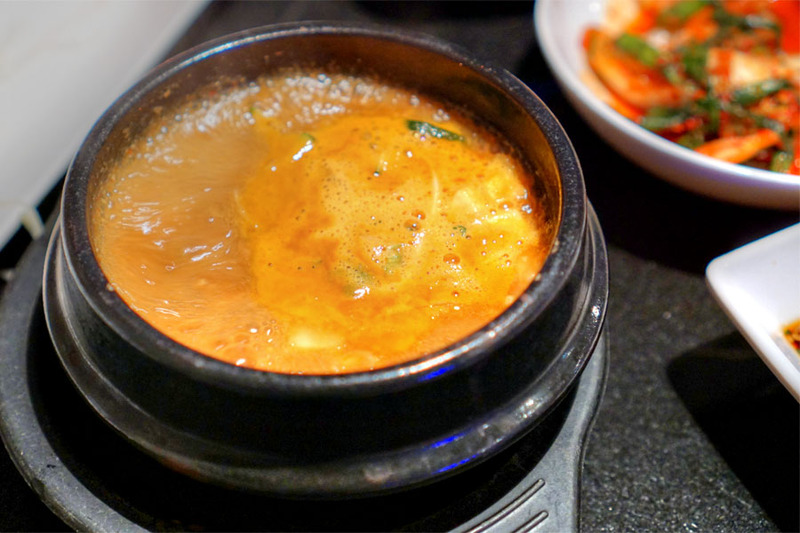 The doenjang jjigae seemed particularly funky this evening, which wasn't necessarily a bad thing. Nice mushrooms here, too. 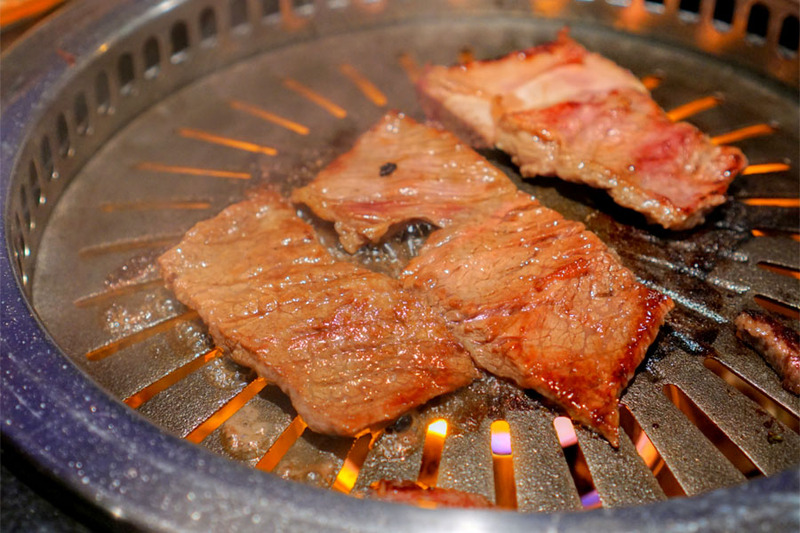 The hyeomit was a bit tougher than I'd prefer, though it was spot on taste-wise: smoky, rich, beefy, and great with a dab of sesame oil (or a squirt of lemon). 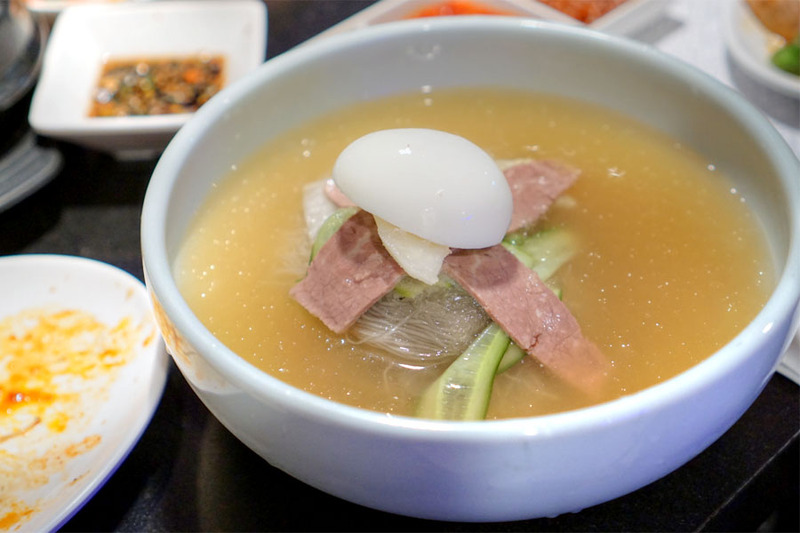 Mul naengmyeon served as a cool, refreshing departure from all the meat we were consuming. 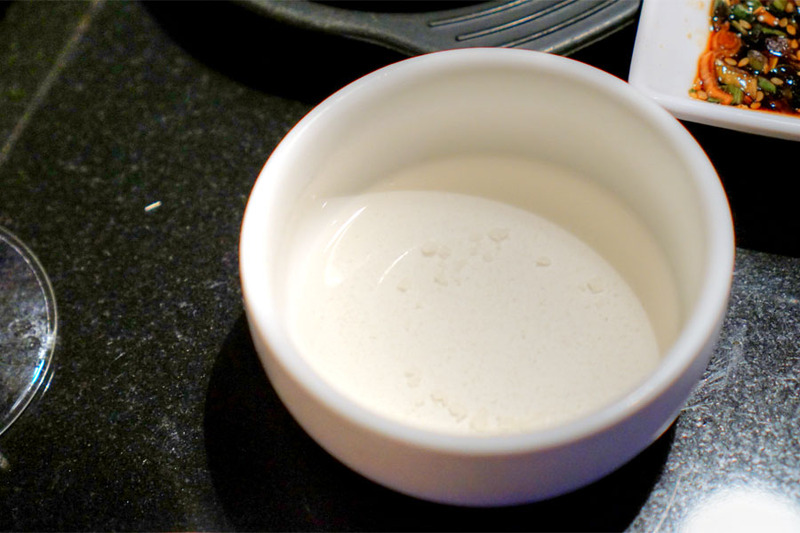 Be sure to add some of the provided vinegar and mustard. 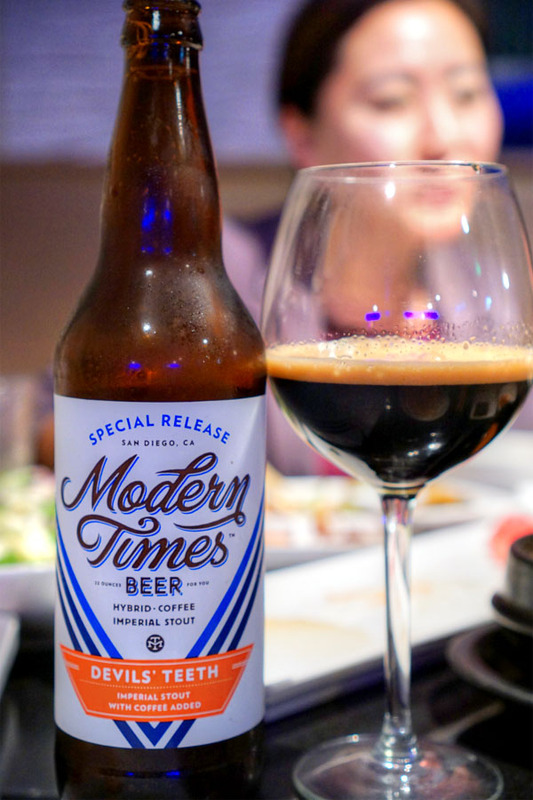 Our final beer was the 2016 Modern Times Devil's Teeth with Coffee, an old ale-imperial stout hybrid with house-roasted Black House Blend coffee (a mix of Ethiopian and Sumatran beans). I got a nose rich in notes of chocolate, malt, and bittersweet roast, while the palate gave up more of the same, along with additional spice and very subtle fruit. 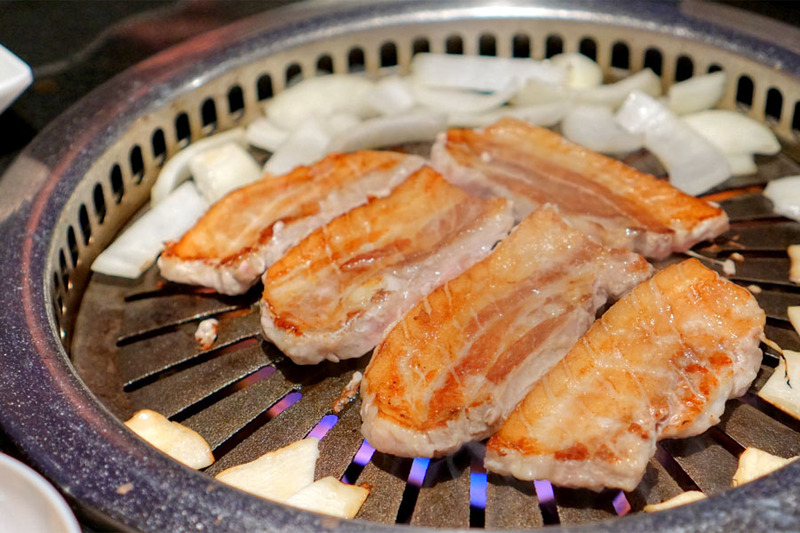 Last up was samgyeopsal, a staple for us. 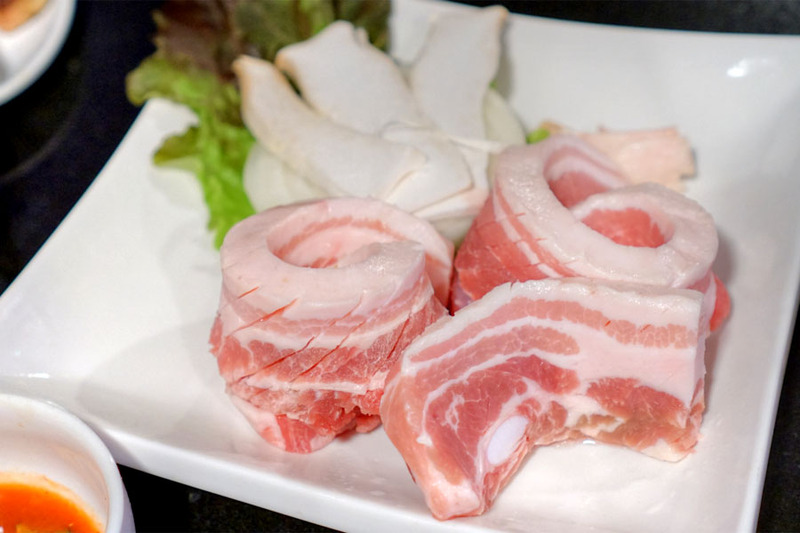 I found it meaty and substantial to the bite, with some good charring to go along with the potent porky flavors in the cut. 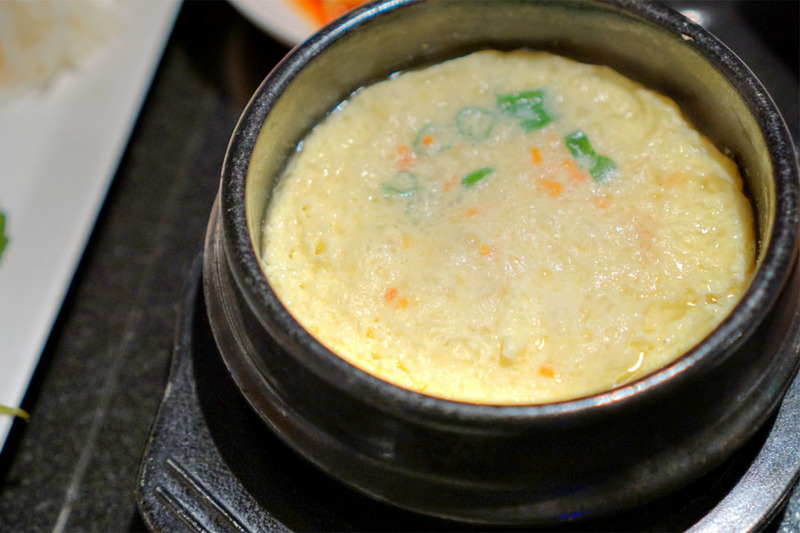 A complementary serving of sweet, ricey sikye. 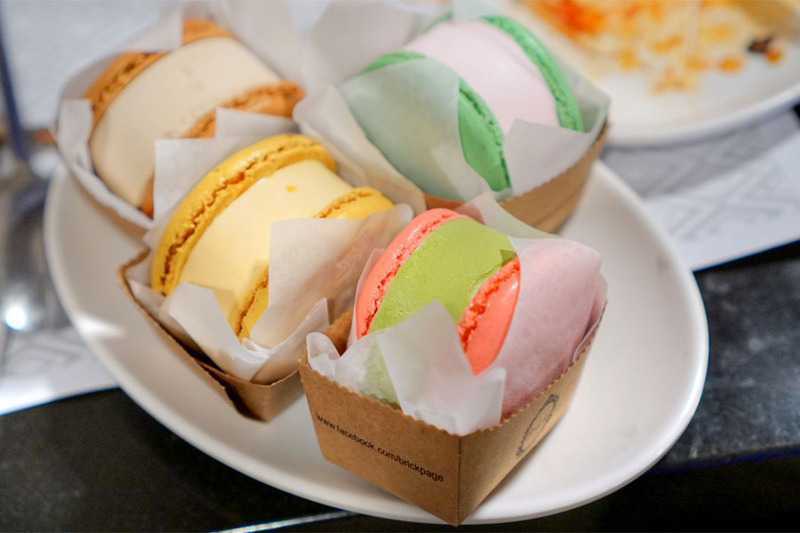 For dessert we got macaron ice cream sandwiches in four flavors: bittersweet green tea, fruity mango, roasty-nutty coffee, and an artificial-tasting-but-still-yummy strawberry. 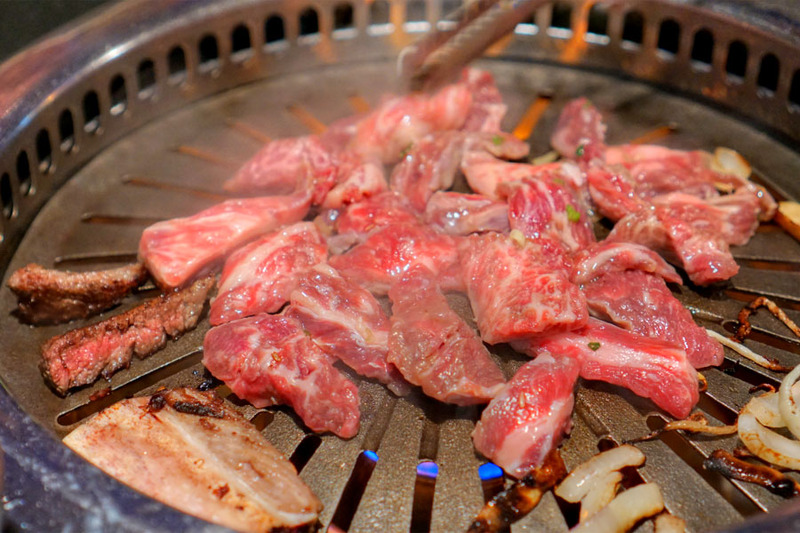 KOW provided yet another enjoyable Korean BBQ experience for us. 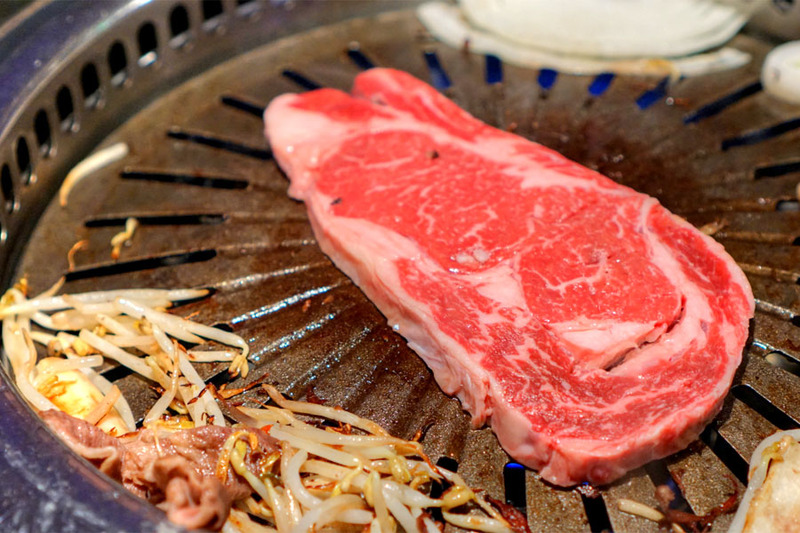 The food delivered for the most part, and the service was pretty commendable by KBBQ standards. 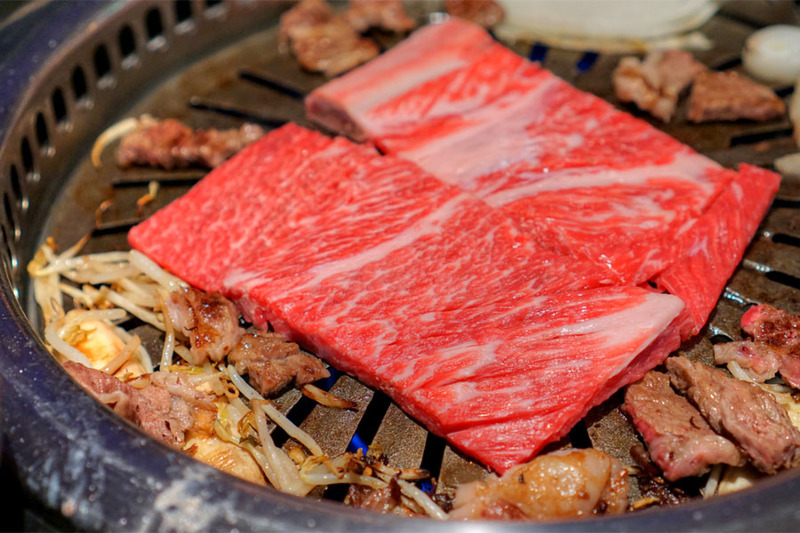 Overall, I found it competitive with the better spots in town, so the place is worth checking out if you're willing to travel a short distance outside K-Town proper.